Start your beautiful beginning in a realm of infinite possibility. The Resort grounds boast its very own on-location Chapel and a range of indoor and outdoor spaces set up to cater for wedding ceremonies and receptions. 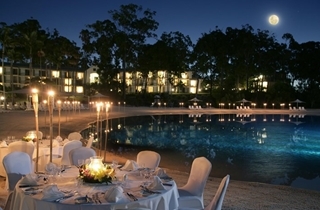 Introducing the darling of InterContinental Sanctuary Cove Resort’s wedding reception venues: The Grange. 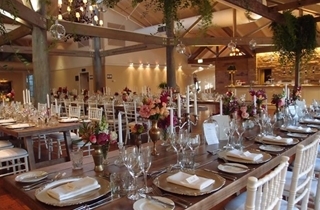 With capacity for 80-170 guests, The Grange offers romantic architecture and signature rustic motifs, complete with a private dining room and bar.. Featuring a high-beamed ceiling, polished timber floors and dramatic chandeliers, this space is primed for private events with the ‘wow factor’. Counting a grand piano, ideal for live performances, and a sandstone fireplace amongst its many stunning features, The Grange is a haven of intimacy and authentic atmosphere. Entirely self-sufficient with private bathroom facilities, private catering and its own on-site, fully-stocked bar, guests will need for nothing in this sanctuary of seclusion. While an outdoor terrace wraps around the building with a manicured lawn area for pre-banquet drinks and canapés ensures that you have the perfect balance of indoor and outdoor. 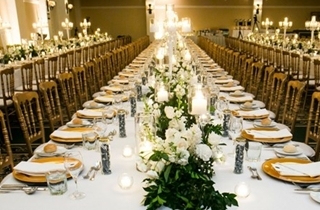 Make your mark on your special day with boundless opportunity to tailor the set up and décor to your wildest dreams. 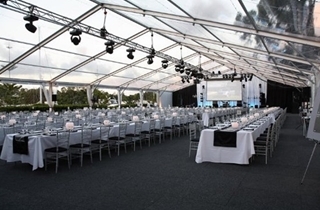 Flexible in its essence, The Grange can be arranged to accommodate multiple configurations including banquet, U-shape and cabaret style seating. The ground level of The Woolshed is a haven of distinct grandeur. With a set up designed for large-scale celebrations, a pre-function space with adjoining outdoor terrace leads into MacArthur’s Ballroom. At 437 sq. 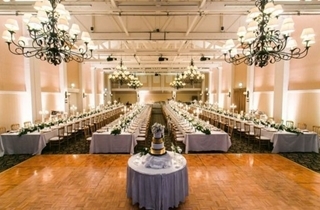 MacArthur’s Ballroom is the largest indoor venue in the Resort, catering for up to 400 for cocktail receptions and 300 for banquets. Ever-popular as a reception venue for wedding groups, the Ballroom offers an air of old-world glamour with magnificent chandeliers, floor-to-ceiling French windows offering endless natural light, and space in abundance. 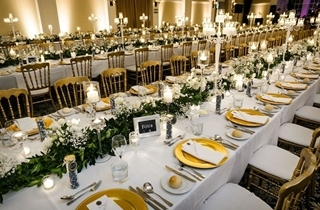 While the pre-function space offers an exclusive area for cocktails and canapes, before guests are led into the grand Ballroom for banquet menus designed by Executive Chef, Matt Hart. Flexible room configuration with MacArthur’s Ballroom 1 & 2, 2 & 3 and smaller rooms with MacArthur’s 1, 2 and 3. 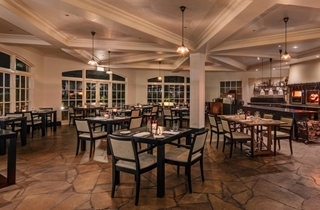 Treat your guests to rustic surrounds set against the backdrop of The Fountain Terrace as The Fireplace delivers a world-class culinary journey. Ideal for food aficionados, The Fireplace presents a plated 6-course degustation menu drawing inspiration from local Australian produce and easily tailored to your unique tastes. Set in a private sanctuary within the grandeur of The Great House, the restaurant is available for sole use (50-60 guests) with its semi-secluded location casting an atmosphere of intimacy over your reception. 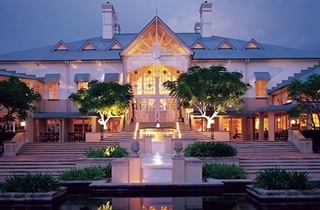 The Fireplace has it's own exclusive 6 course degustation package, including 4.5hr beverage package for $265 per person. Featuring an open kitchen with live cooking stations and the capacity to seat up to 90 guests for banquets, Cove Café’s soaring ceilings and light space allow wedding parties to experience interactive dining at its finest. Opening up to a courtyard strung with sparkling fairy lights, the space allows for easy transition between outdoor pre-dinner drinks and indoor seated set menus. For those seeking a less formal affair, swap savoury for sweet with Cove Café offering bespoke High Tea as an alternative to traditional dining. 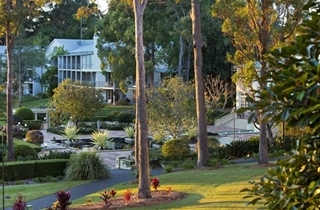 Amidst tropical surrounds and lounging kangaroos, discover three exclusive Garden Lounges in the bushy grounds of the Resort. 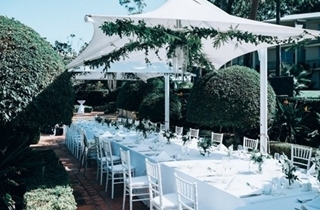 Designed to evoke the ultimate feeling of true intimacy, the Garden Lounges have the capacity to fit 30 of your nearest and dearest to celebrate your special day. 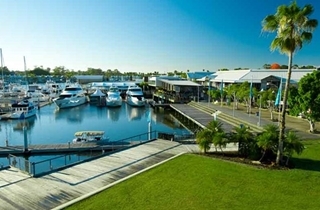 Entirely self-sufficient, enjoy a haven of seclusion with private bathroom facilities, private catering service with on-site kitchenette and floor-to-ceiling French windows intended to immerse guests in the natural surrounds of Sanctuary Cove. Taking full advantage of the bush location, each of the three Garden Lounges have wrap-around terraces perfect for pre-dinner cocktails and canapes or break-away moments throughout the reception. The three exclusive lounges are ideal for smaller reception parties seeking privacy and attentive service excellence. 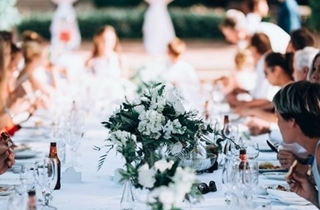 Our premium offering, the InterContinental package, allows you to craft your dream celebration with unprecedented flexibility to tailor every last detail of your wedding day down to personalised menus and sashes on chairs. As we are well aware that luxury is, of course, within the detail, this package let's you choose between a grand buffet or decadent four-course menu, as well as granting you the selection of décor from our deluxe range. Primed to perfection for larger groups or those seeking a traditional reception, celebrate your special day with the Platinum Package. Indulge guests with a two-course set menu after cocktail canapés and curate the ‘wow’ factor with décor hand-selected from our premium range. Embrace a more traditional reception with a formal banquet designed by InterContinental Sanctuary Cove’s talented team of chefs. 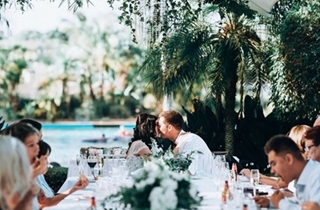 The World Of Weddings package offers couples classic details on their special day with a plated two-course menu, beverage package inclusion and venue hire until midnight. The three-hour cocktail package is perfect for newlyweds seeking a more intimate affair. Set up to allow your guests to mingle whilst savouring an assortment of canapés and a three-hour classic beverage package inclusion, this package is suited to indoor and outdoor events. Please note that this package has a minimum of 30 guests and a 10.30pm curfew applies should you choose an outdoor venue. 2 course meal in Cove Cafe. Featuring an open kitchen with live cooking stations and the capacity to seat up to 90 guests for banquets, Cove Café’s soaring ceilings and light space allow wedding parties to experience interactive dining at its finest. Opening up to a courtyard strung with sparkling fairy lights, the space allows for easy transition between outdoor pre-dinner drinks and indoor seated set menus. 3 course menu in Cove Cafe. Featuring an open kitchen with live cooking stations and the capacity to seat up to 90 guests for banquets, Cove Café’s soaring ceilings and light space allow wedding parties to experience interactive dining at its finest. Opening up to a courtyard strung with sparkling fairy lights, the space allows for easy transition between outdoor pre-dinner drinks and indoor seated set menus. For those seeking a less formal affair, swap savoury for sweet with Cove Café offering bespoke High Tea as an alternative to traditional dining.